I love rings, they are probably my favourite type of jewellery as its easy to wear and you can change the feel of an outfit just by which rings you are wearing. I'm a magpie in stores or stalls that sell rings, I make a swift beeline for them. So these are just some photos of some of mine, these are one's I wear often, everday basis. I do have other but most are currently at my parents house as I didn't feel like I would need to accessorize for my uni exams and needed to not bring too much stuff back with me. Although I feel like I came back with more stuff than I had before...its a good job i'm not moving house again this Summer! Anyway onto the photos. 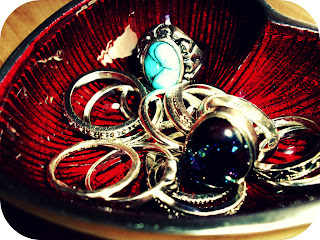 The two patterned silver rings in this pic are from H&M they were part of a ten ring set which was £2.99! Bargain I thought, there's 6 patterned ones and four just plain silver but I like that. 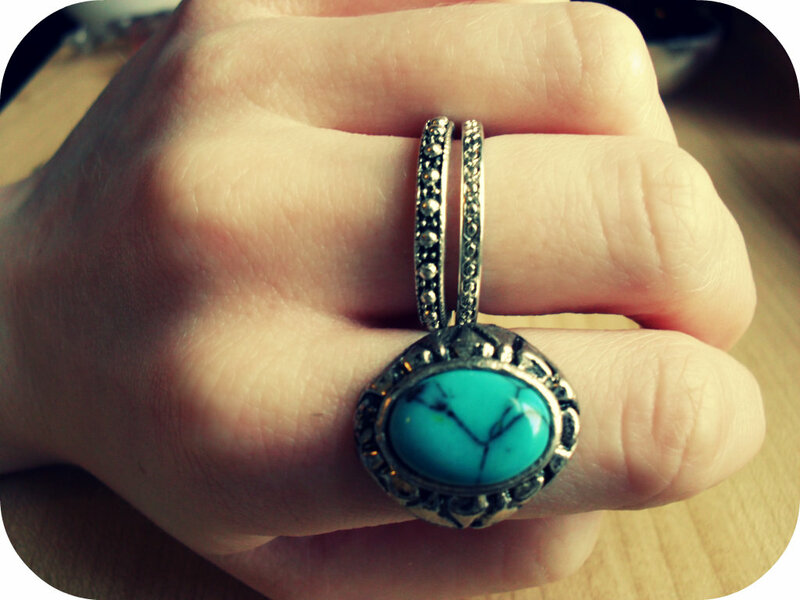 The turquoise stone ring (which I love sooo much) is from LLY MLRS shop and it was £4, pretty good I think as you'd probably pay about £8 in Accessorize for something like that, also super fast delivery for this, I ordered it late afternoon and it arrived the next day, very impressed! These two I wear everyday and have done for years. They are both silver, the star ring was from a stall at the Sidmouth Folk Festival about ten years ago now and it was £2, for those that don't know every year in Sidmouth, Devon there is a Folk Festival, its basically tons of little stalls selling jewellery, clothes, decorative items, and loads of other things, plus live music, dance and a lot of cider! But its great for finding quirky little gifts and knick-knacks. The hammered silver ring was a Christmas present from my boyfriend two years ago, it was part of the Paloma Picasso collection for Tiffany & Co and I believe it was around the £70-80 price mark, me and boyfriend do tend to go a little overboard on the gifts. I love it, its very me, he got it right with this one. There hasn't been a day that I haven't worn it since I got. Its really subtle but I really like it. I don't think Tiffany actually sell this anymore, there is a rose gold and yellow gold version but they are obviously much more expensive. Now this ring I have had for years again and it was bought from the Devon County Show from a trader and I think it was about £4. 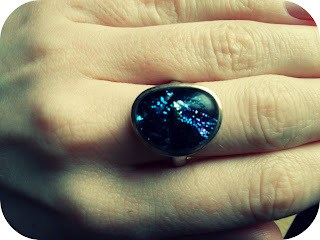 Now this isn't the best photo of it, I couldn't get my ancient camera to truely capture it well, but this ring is amazing. The stone/resin (i'm not sure what its made from) looks like a galaxy, its so pretty and changes with the light from being the purpley colour to being a turquoise/green colour. I love it so much and yes it does look a little bit like those mood rings everyone used to have (mine always stayed that horrible dark brown colour!) but I don't care I've never seen anything similar to this is shops and I like that its a bit different. I'm definitely going to be keeping an eye out for more like this! 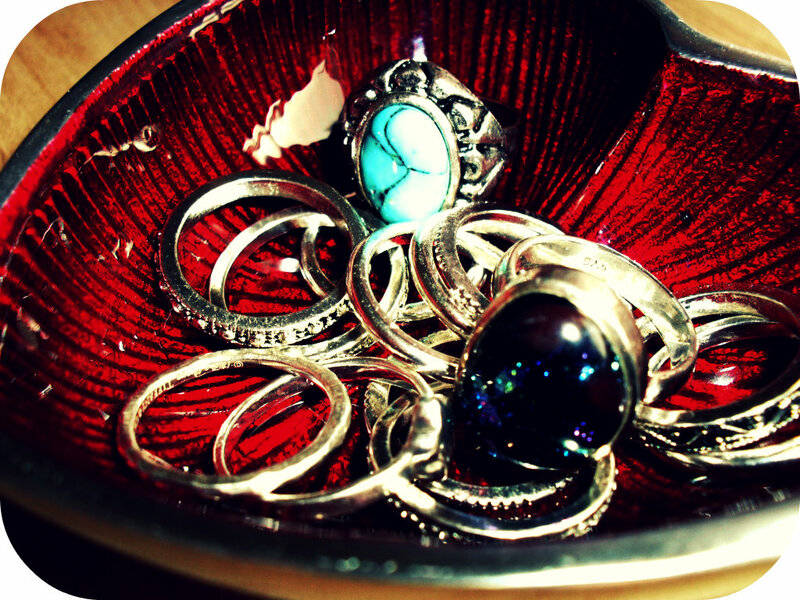 Does anyone else love rings as much as me? I love rings 2! Only problem is i seem to lose them quite a lot! 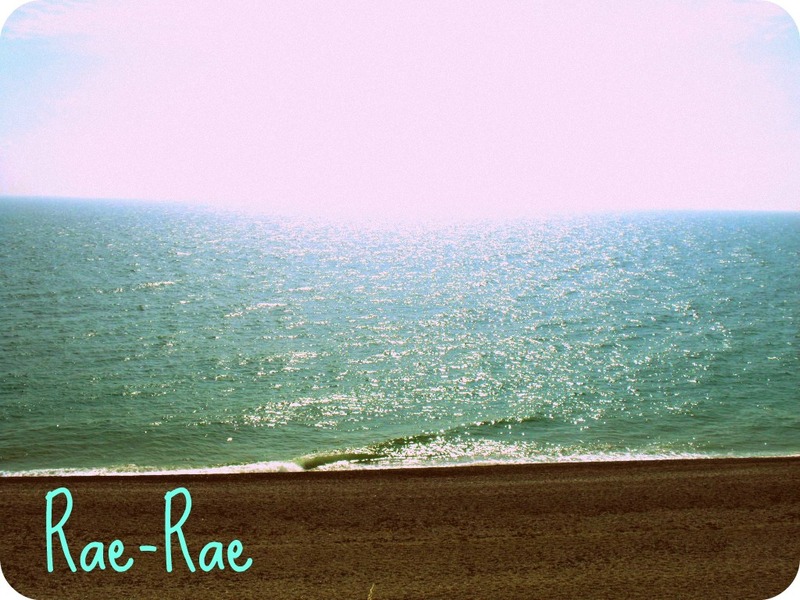 I'm now following, love the blog, please look at mine. 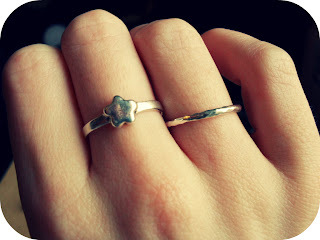 I love rings, I haven't been to Sidmouth folk festival for years, far too long. You've reminded me of how much I love it.